I was talking to my sister about making gingerbread cookies and then you're blog loaded! So ironic! I made these cookies over the weekend and I think I have a new favorite!! I have an insanely awesome vegan chocolate chip cookie recipe if you want it. I just took my grandma's regular recipe that I've been using for years and replaced the butter with vegan Becel, the refined sugar with raw, and the egg with flax egg. Cream 1 cup Becel with 1/2 cup coconut sugar, 1/2 raw cane sugar and 1/2 cup dark brown raw cane sugar. Combine 2 cups whole wheat spelt flour with 1 teaspoon each salt, baking powder and baking soda. Fold into sugar and Becel mixture. Add 1 cup of chocolate chips (presidents choice decadent are amazing and dairy free!) and a half cup of chopped walnuts or pecans. Bake at 350 for about 13 mins. When you take them out of the oven given them a whack on the counter. This will make them fall, and give them a better texture. These cookies were great!! I found that the dough needed more flour though. I probably ended up adding an extra 1/4 cup in total, but eyeball it! 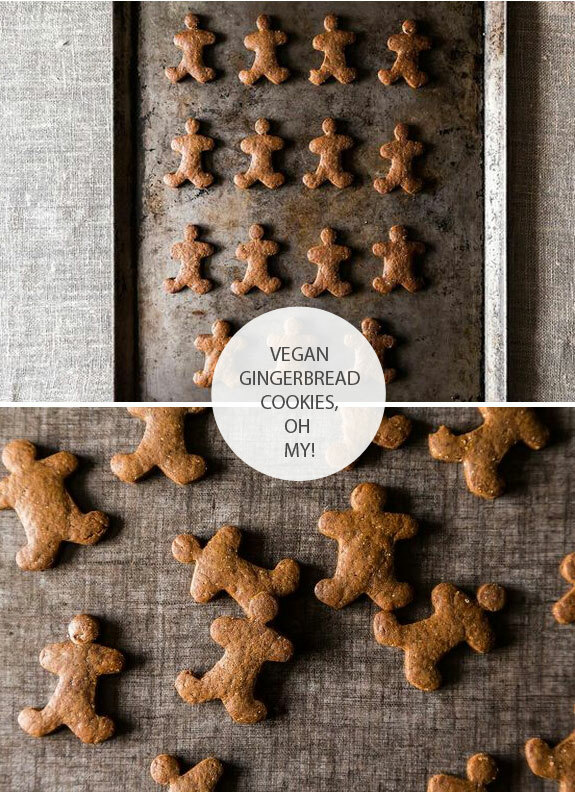 These are soft ginger bread cookies and I love them!